Agence Française de Développement is the operator for France’s bilateral development finance mechanism. It is a public industrial and commercial institution with the status of specialized financial institution. Its action is in line with the policy set out in France’s Framework Document for Development Cooperation. This document was approved at the end of 2010 and in 2011 was translated into a three-year contract specifying objectives and resources between the French Government and AFD. 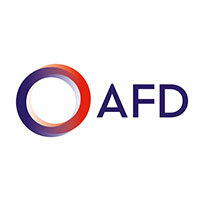 AFD has been entrusted with a mandate by the French national authorities to contribute to economic and social development in its geographical areas of operation. It achieves this by financing and supporting development projects and programs, participating in the debate, research and dialogue with the relevant stakeholders. The aim of these actions is to contribute to more sustainable and shared economic growth, improve living conditions in the poorest regions and countries, contribute to preserving the planet and help stabilize fragile or post-conflict countries. GRET is an international development NGO that has been actively fighting poverty and inequalities for 40 years on all levels and in a broad range of issues. Its professionals provide lasting, innovative solutions for fair development in the field and work to positively influence policy. – from the local to the global level, in villages and in international bodies.